This state began assigning registration numbers to auto owners first in 1905, and continued until official state license plates were issued in 1911. 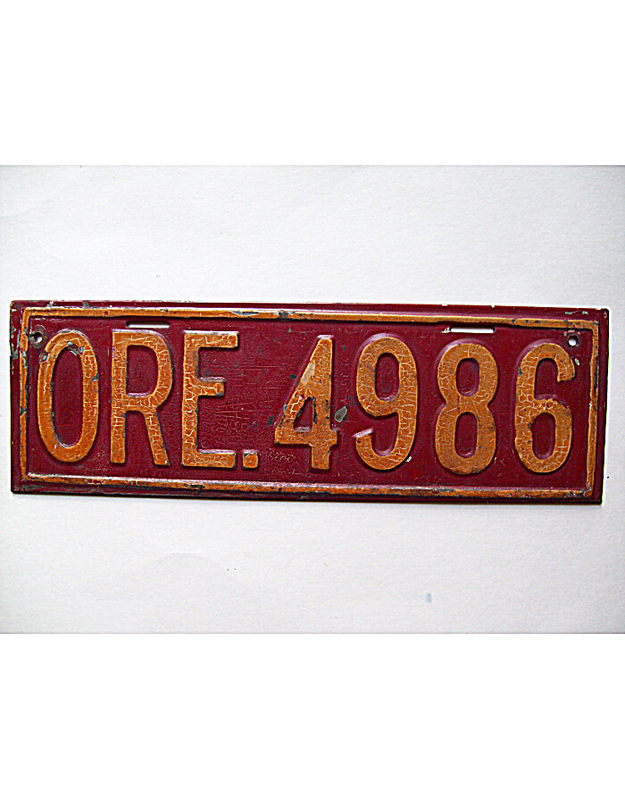 Owners were required to provide their own plates, but almost all the known tags were manufactured to the same exact specifications and are apparently the product of a single preferred supplier. 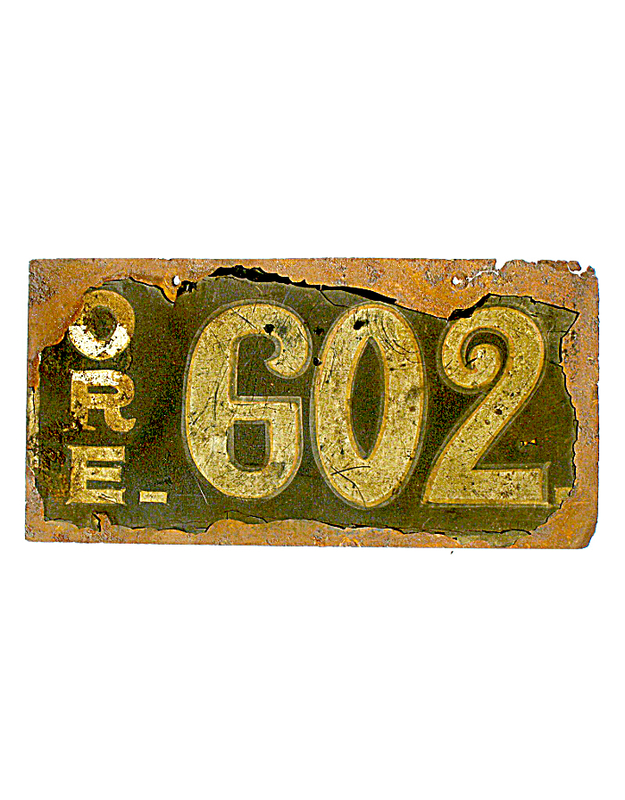 A very few Oregon pre-state automobile plates, most notably low numbers, appear to have been made separately for owners, including the flat-metal painted sign shown here. There are also two known porcelain examples. 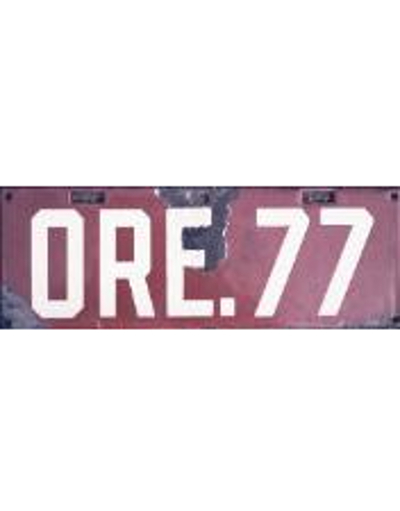 All Oregon pre-state licenses include the state abbreviation ORE. (A porcelain license from The Dalles is known, but it’s use and vintage is uncertain). 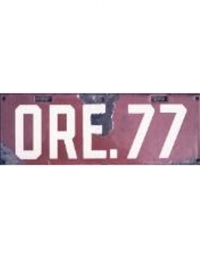 The only Oregon city known to have required automobile licensing is that state’s largest municipality: Portland. 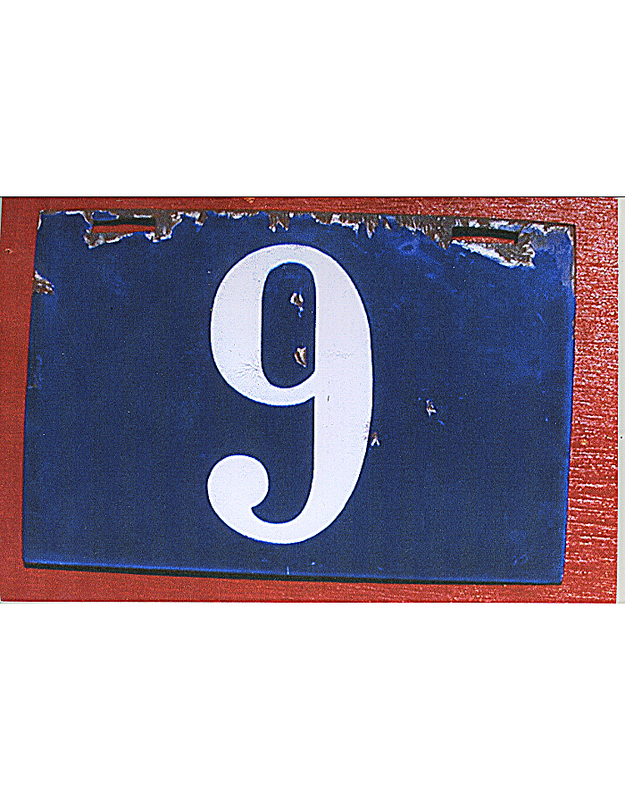 Although it is not certain when local licensing began in Portland, an unidentified enamel plate is known, #9 (shown here) which fits a description in a 1908 newspaper account. 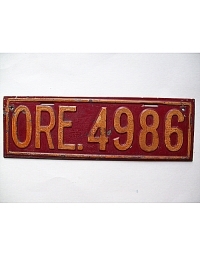 In fact, the purpose of that newspaper article was to inform the motoring public that those city plates needed to be removed in favor of the state number, described above. 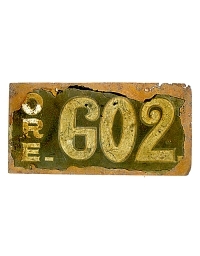 Certainly, therefore, the Portland city license pre-dated 1908 and could possibly date back as far as 1902 when the city began passing laws regulating the use of city streets by automobiles. Further research is needed.